The news among safeties (which began with Bob Sanders Friday) continued as the weekend continued. The Rams cut former franchise player Oshimogho Atogwe, while the Texans cut five players, headlined by starting safety Eugene Wilson. Below are thoughts on the moves. 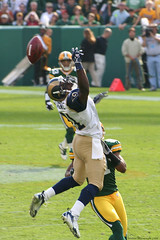 In St. Louis, Atogwe developed a reputation as a ballhawk after causing 43 turnovers (forced fumbles plus interceptions) since becoming a starter in 2006. But his play in 2010 dropped a bit, and given the fact that the Rams would have owed an $8 million roster bonus early this week. So the Rams cut Atogwe, putting him on the open market. At age 30, Atogwe may have one more good contract in him, and the fact that he’s on the market for two-plus weeks before a potential lockout (when so few players are available) could help him get a quick deal. The Rams may be willing to bring him back at a lower price, and Atogwe has said he’s not opposed to the idea. But Atogwe would be best served to get a decent deal quickly instead of holding out for the last dollar. In Houston, Wilson, a former Patriot, was released after three years with the Texans. WR Andre Davis was the most notable other cut, and the Texans saved more than $8 million in 2011 salary by cutting Wilson and Davis. While Wilson was a starter, Pro Football Focus had him rated as the third-worst safety in the league. Given the fact that the secondary was horrific for the Texans all year, it’s no surprise that Houston cut the cord on Wilson. They’ve be better off with a cheaper player, even if he was so inexperienced to make mistakes. So the move is part of a bigger overhaul coming to the back third of the Texans D.
Earlier this offseason, we analyzed the 14 NFL franchise players using a Football Relativity comparison. Yesterday was a deadline for those guys to sign long-term deals, and I thought we’d do a summary of what happened with them. One was traded – Matt Cassel. 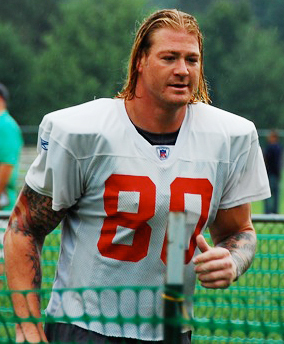 He was dealt from the Patriots to the Chiefs, along with Mike Vrabel, for a second-round draft pick. Cassel signed a six-yera, $63 million deal with $28 million guaranteed just before the deadline, replacing his $14 million franchise tender. One had the tag removed – Leroy Hill. After drafting Aaron Curry, the Seahawks took the $8 million tag off of Hill. They then signed Hill to a more cost-effective deal, six years and $38 million with $15 million guaranteed. Three franchise players signed long-term deals – Max Starks, Brandon Jacobs, and Terrell Suggs. Suggs (whose T-Sizzle nickname we should have included in this post) signed just before the deadline, inking a 6-year, $63 million deal with $38 million guaranteed. Starks, who wasn’t a full-time starter in ’08 but should be in ’09, got a four-year, $26 million deal with $10 million guaranteed. And Jacobs got a four-year, $25 million contract with $13 million guaranteed. All of these players, plus Cassel and even Hill, ended up with more guaranteed money than they would have had if they had played under the franchise tender in ’09. One player, Dunta Robinson, has not yet signed his tender. He can’t negotiate a long-term contract, so his only option to play in ’09 is to sign a one-year, $9.957 million deal and play for the Texans.